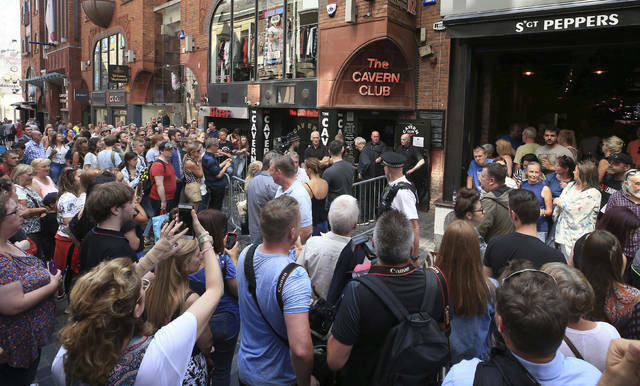 LONDON — Paul McCartney has returned to the famous Liverpool club credited with being the birthplace of the Beatles. Gina and Paul Magee asked for the day off work to attend. Luckily, their bosses were sympathetic. McCartney spoke of memories and his bandmates — and asked people in the crowd not to take pictures.